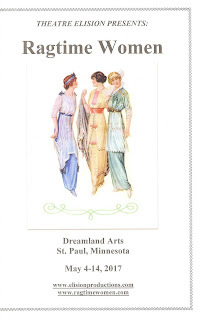 A third new theater company is making its #TCTheater debut this month, following a charming new original musical Ragtime Women by Theatre Elision and Little Wars, a powerful story of women in their prime brought to us by Prime Productions. Now we have Trademark Theater, comprised of the Tylers Michaels (founder and artistic director) and Mills (artistic associate and resident playwright), with Emily Michaels King on marketing and graphic design. Their mission is to "expand the breadth of original theatrical works born in Minnesota by creating, developing, and producing dynamic stage productions." Their first creation is a new adaptation of an old story - Robin Hood. And it most definitely is original and dynamic. I saw a reading of it as part of Illusion Theater's "Fresh Ink" series last year (under the title The Gest of Robin Hood) and was impressed with the storytelling and original music (written by David Darrow). But now, with the added elements of movement, costumes, set, lighting, and all of the theater magic, plus a super talented and energetic young cast, it's something truly exciting. 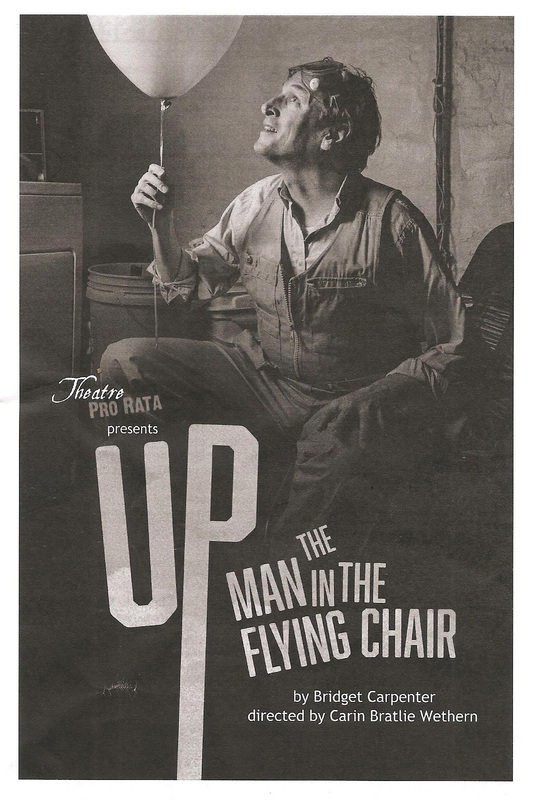 For their third show in partnership with Park Square Theatre, Theatre Pro Rata is presenting the sweet, funny, and heart-warming Up: The Man in the Flying Chair in the intimate thrust stage in the basement of the theater. It's one of those shows that just makes me happy. The seemingly diverse elements of a fascinating real person, a family dramedy, a perky pregnant teen and her con artist aunt, and the magical appearance of tightrope walker Philippe Petit all combine for a unique and engaging play. Brought to life by this wonderful cast, it made me feel all the feels. 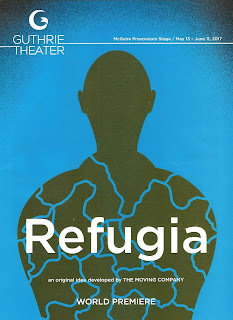 One of my favorite theater companies, The Moving Company (an offshoot of the dearly departed Theatre de la Jeune Lune), made their Guthrie debut last weekend with Refugia, after five or so years of producing new work that is interesting, bizarre, lovely, or all of the above. Several of my fellow Twin Cities Theater Bloggers* saw it opening night and had some strong reactions, to say the least. Even though I mostly stayed out of the conversation, when I saw the show last night I couldn't help but look for issues. And I did find some, although I also found some really beautiful moments and a powerful and timely message. Would I have noticed these issues if not for my friends? I don't know, but I'm grateful to them for speaking their experiences honestly and opening up a conversation. A conversation that will continue with an open forum discussing representation** in theater coming up at the Guthrie (I'll post the details when they become available). In the meantime, go see the show and decide for yourself. 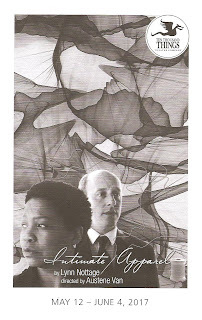 I saw recent two-time Pulitzer Prize winner Lynn Nottage's play Intimate Apparel at the Guthrie almost 12 years ago. 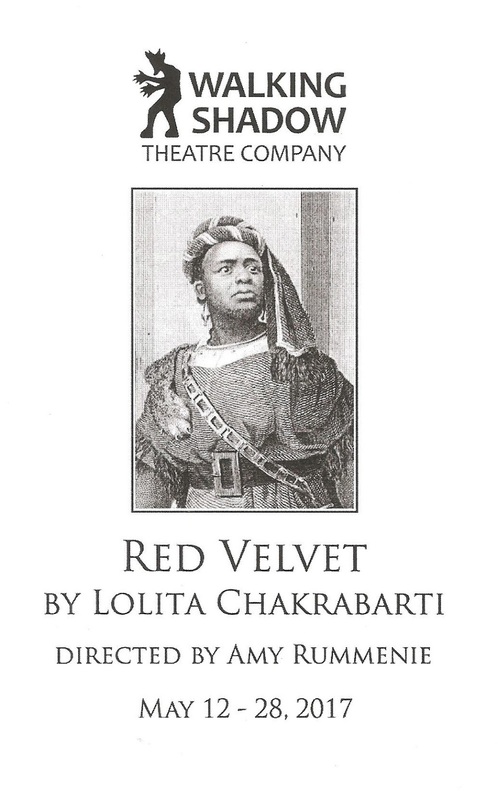 I usually don't remember anything about shows that I saw before I started blogging in 2010 (that's why I started blogging, to keep a record of my theater experiences), but I clearly remember loving this play. I even remember the basic plot, although not a lot of details. 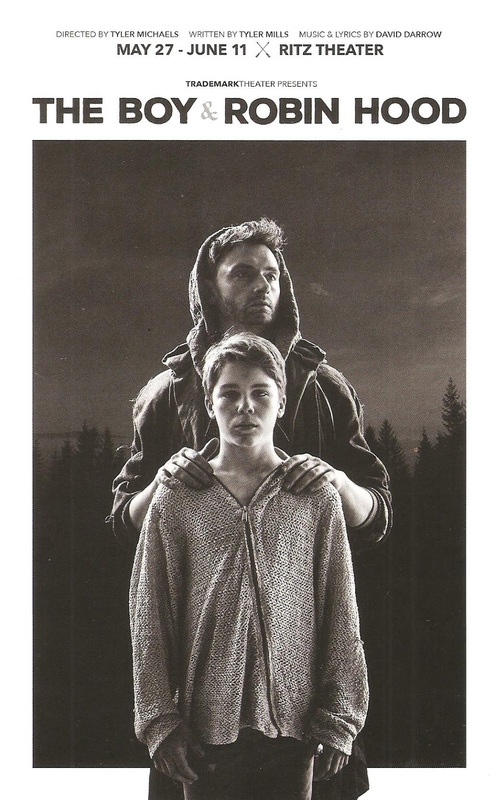 But what I remember most clearly is that feeling you get when you see a play that really touches you, really gets under your skin, and stays with you - even for 12 years. Last weekend I saw Ten Thousand Things' new production of Intimate Apparel, and now I remember why I love this play so much. It's a beautiful story of a woman discovering her strength through friendships, a failed relationship, and her own sense of self-worth. And as always, Ten Thousand Things brings us the truest version of the story, with little in the way of sets, lighting, or other theater magic to get in the way. Along with beautifully real acting, clear direction, and an intimacy with the story that only the specific TTT "all the lights on" up-close-and-personal style can bring, this Intimate Apparel is one I will remember. 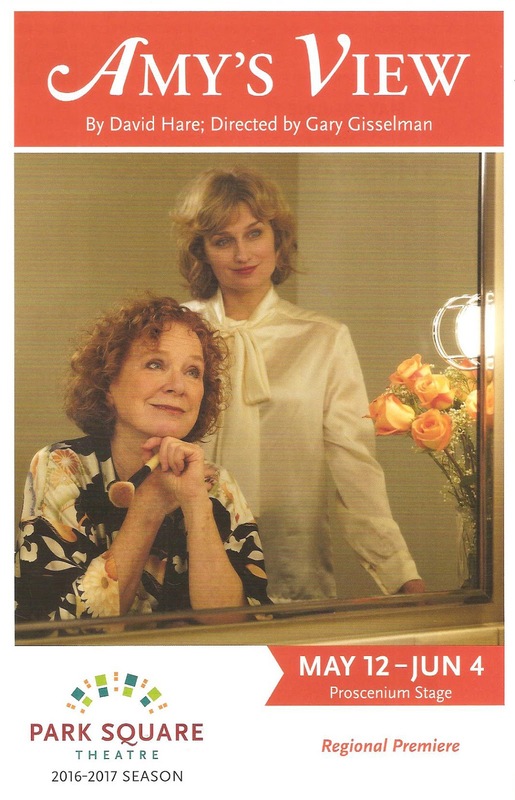 Shortly after Mother's Day, Park Square Theatre brings us a mother/daughter story that is just one of the "complicated relationships" (the name of the signature drink accompanying this show) in Amy's View. 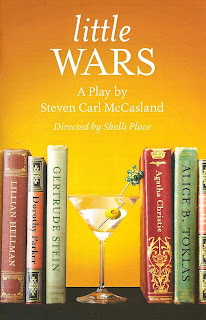 Theater, criticism, art, finances, and messy relationships of all sorts are exposed in this play that spans 15 years. The play perhaps tries to cover too much, in time and topics, but the excellent cast and design make it worth the ride. 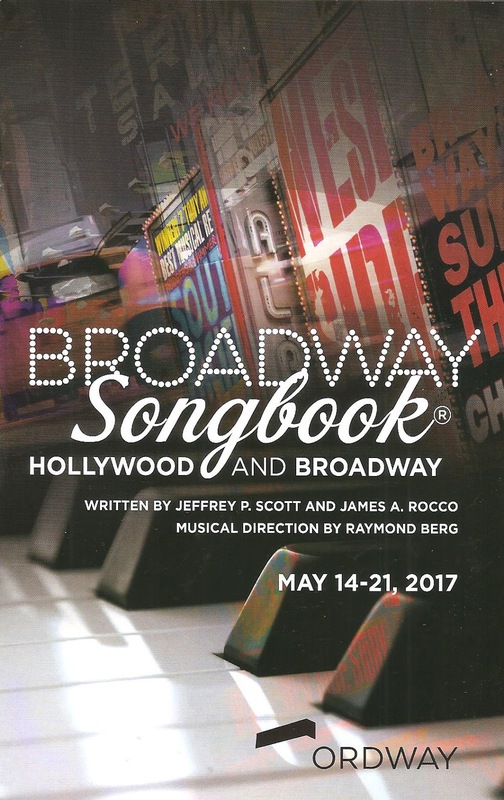 Thursday night I attended my 13th show in the Ordway's Broadway Songbook series, an edutainment series about musical theater (I think I've only missed one, maybe two). Starting way back in 2011 (aka the good old days) with "The Words and Music of Irving Berlin" in the dearly departed McKnight Theatre, the series has traveled to the stage of the main theater and now to the swanky new concert hall, and gone on to cover such composers as Stephen Sondheim, Comden and Green, and Rodgers and Hammerstein and Hart, and such topic or eras as musicals of the '50s and rock and roll on Broadway. Each has been a fun, entertaining, and informative history lesson about musical theater (which happens to be my favorite thing in the world). Which brings us to the current installment: "Hollywood and Broadway." A topic so vast (there was a time when every successful Broadway musical was made into a Hollywood movie, and now it seems every successful Hollywood movie is made into a Broadway musical), that it's impossible to cover in two quick hours. But co-writers Jeffrey P. Scott and the Ordway's Artistic Director James A. Rocco, who also hosts, managed to put together an interesting story that was perhaps a bit too much Hollywood and not enough Broadway for my taste, but was still a wonderful evening of musical theater history and performance. 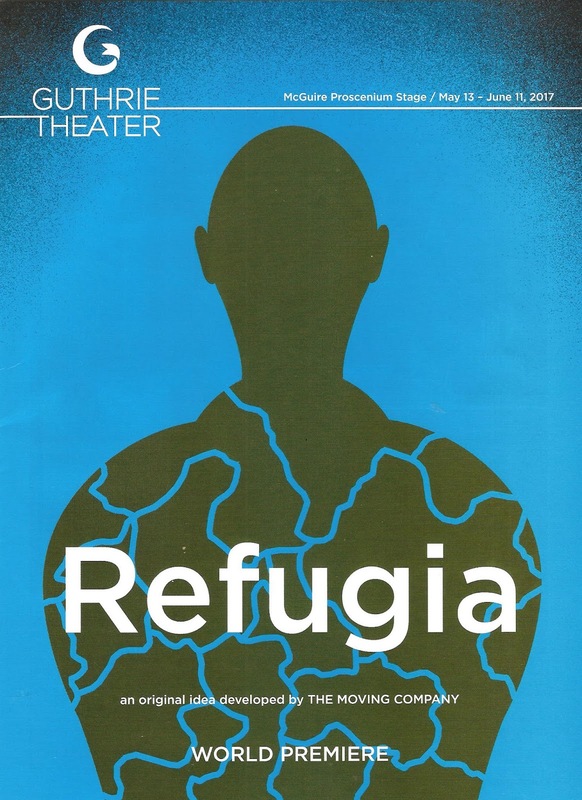 In just four days, I saw two plays in which an actor of color donned white face. A little strange, a little disturbing, but a very good sign that the #TCTheater community is telling some important and relevant stories right now. 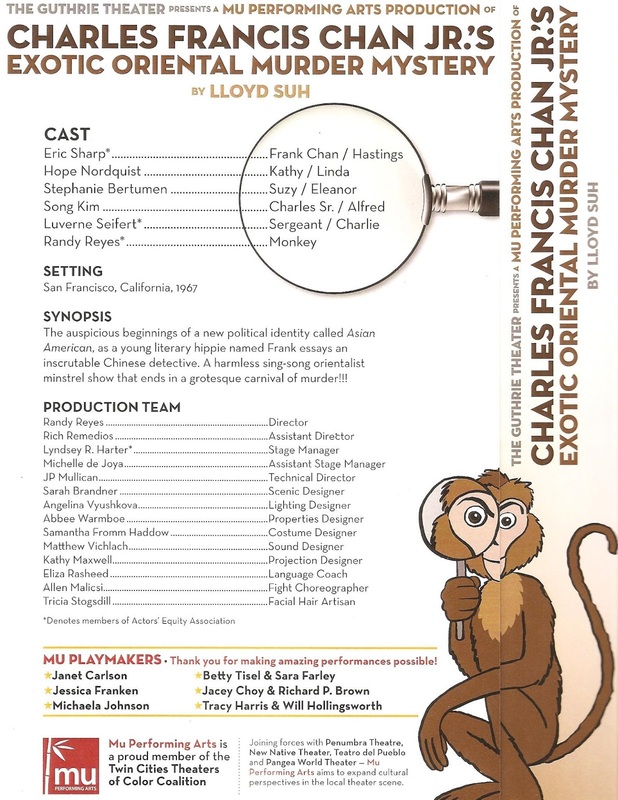 Mu's Charles Francis Chan Jr.'s Exotic Oriental Murder Mystery deals head on with the practice of yellow face and Asian American stereotypes in media, while paying homage to real life pioneers of Asian American theater. 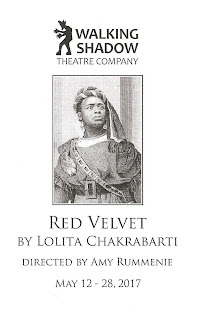 Walking Shadow's Red Velvet deals with art, politics, and race in theater while telling the story of a real life pioneer of African American theater who had a successful career doing Shakespeare in Europe in the 19th Century. 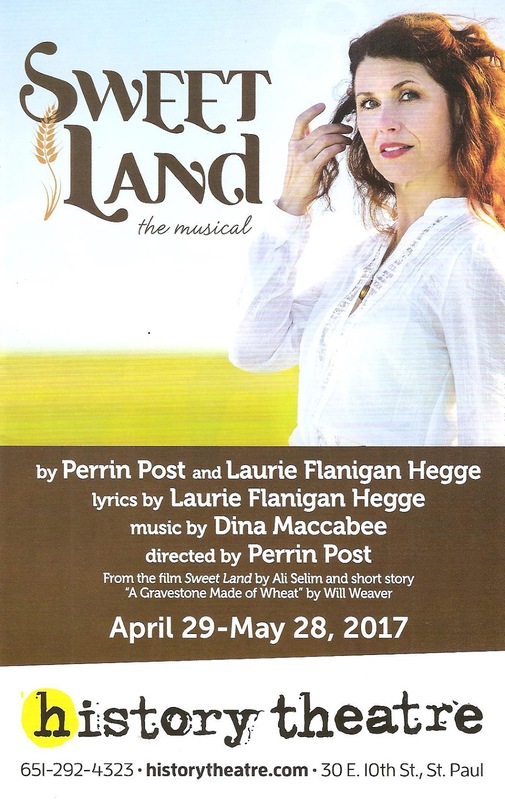 Both plays provide astute social commentary through historical stories that are also engaging and entertaining, and are both well worth seeing. British mystery writer Agatha Christie. American playwright Lillian Hellman. Activist Muriel Gardiner. American author Dorothy Parker. It's debatable whether or not these four accomplished women met in the home of the equally accomplished women Gertrude Stein and Alice B. Toklas in the French Alps in 1940, but it sure makes for a fascinating play. One with these many roles for women in their prime. A perfect choice, then, for the debut of the new theater company Prime Productions whose mission is "to explore, illuminate, and support women over 50 and their stories through the creative voice of performance." As a woman who's approaching that age (at a seemingly greater speed with each passing year), it's a mission I whole-heartedly support. 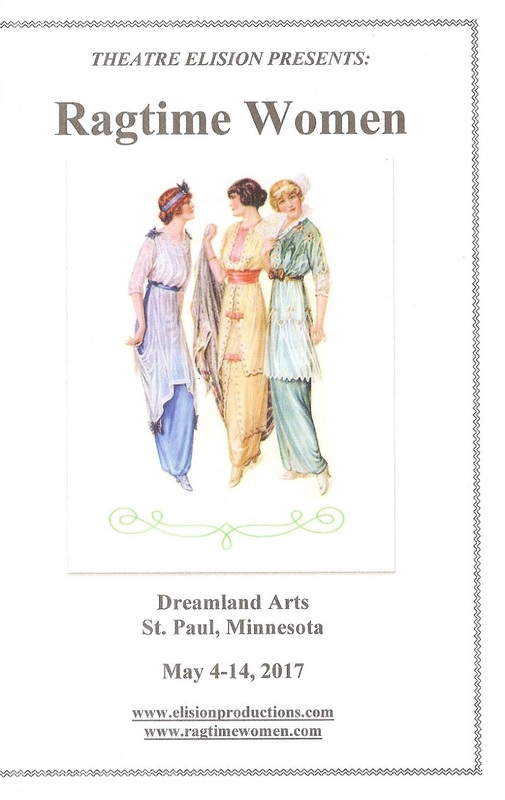 And the Twin Cities is the perfect location for such a company, as we are lucky enough to have many female theater artists in their prime. 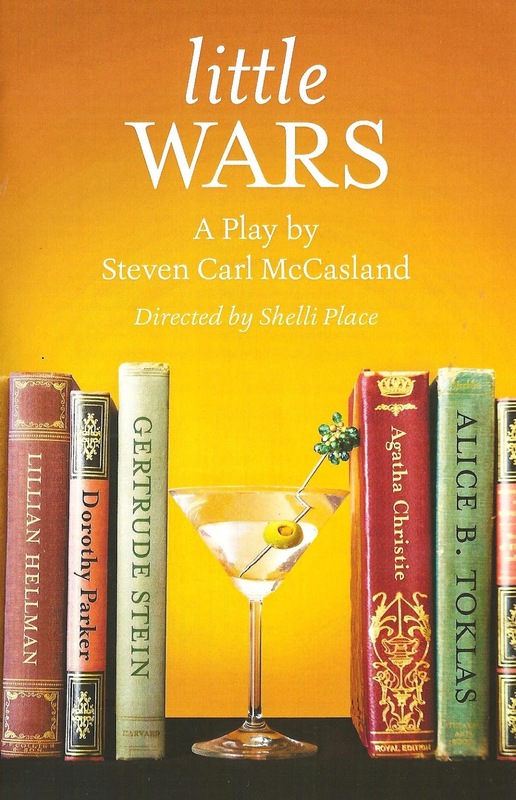 Little Wars, a play about fascinating real-life historical women*, is an exiting debut for this company. 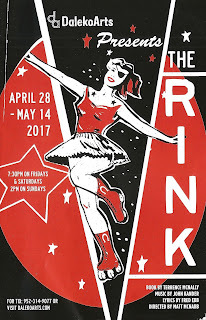 I look forward to seeing what else the amazingly talented women in their prime in the #TCTheater community can do, when given the opportunities they deserve but are often denied by our ageist and sexist society. 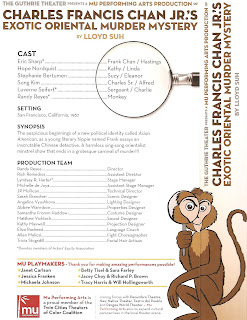 With their new production of Lloyd Suh's recent Off-Broadway play Charles Francis Chan Jr.'s Exotic Oriental Murder Mystery, Mu tackles the issue of yellow face and the stereotypical portrayal of Asian Americans in media head on. Like Branden Jacobs-Jenkens' Octoroon (recently produced by Mixed Blood Theatre), the play includes yellow face and white face, a play-within-a-play format, and a weird human-sized animal. While Jacobs-Jenkins satirized the "antebellum melodrama," Suh satirizes the many stereotypes that have dominated the depiction of Asian Americans in popular culture, and specifically the dozens of movies from the '20s through '40s featuring detective Charlie Chan (played by a white man, natch). The result is a weird and trippy mash-up of stories, often told in exaggerated style, that effectively and poignantly exposes and skewers the stereotypes surrounding us while paying homage to the pioneers of Asian American theater. Hey theater friends, the Minnesota Fringe Festival is less than three months away! The largest unjuried theater festival in the nation begins August 3, runs for 11 days, and usually includes about 170 shows at a dozen or so venues around town. 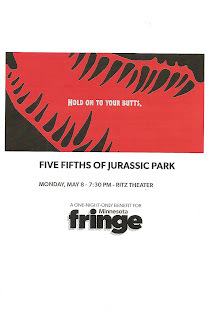 The kick-off event (after the lottery, which was held earlier this year and determined who will perform in the festival) is the annual Five-Fifths show, a fundraiser that showcases all that is wonderful about MN Fringe. The crazy brilliant people at the Fringe take a popular movie, slice it into five parts, and give each part to a company to do a Fringe-style adaptation. Then the five fifths are mashed together to make one crazy whole. It's great ridiculous fun and really gives you a taste of what the Fringe has to offer, in addition to raising money to help "adventurous artists meet adventurous audiences." I don't know where to begin with this one. 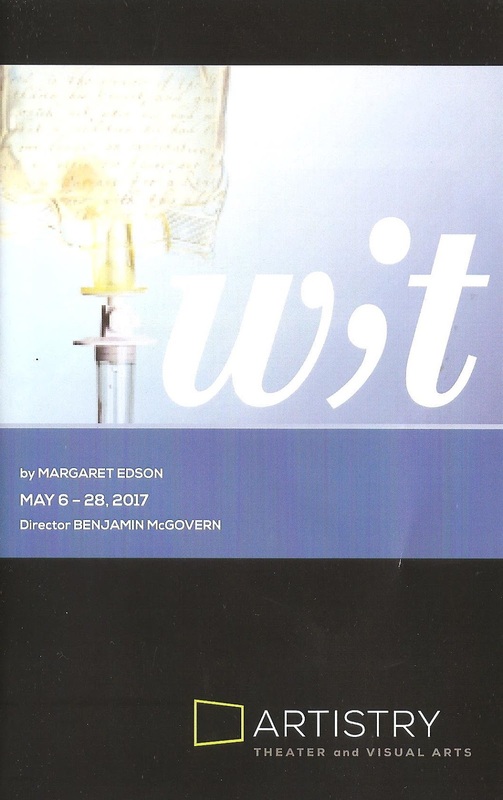 Artistry's production of the Pulitzer Prize winning play Wit is simply devastating. But it's also funny, and smart, and philosophical, and enlightening. 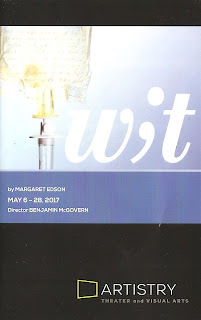 This is my first experience with the play, and I really can't think of anyone I'd rather see in the lead role than the incomparable Sally Wingert. She gives a masterful performance in what has got to be one of the juiciest roles in theater - a smart, educated, independent, confident woman who experiences life in a whole new way while approaching death from cancer. This professor who is an expert in the metaphysical poetry of John Donne has spent her life contemplating life, death, and the afterlife in theory, and has to rethink everything she believes when faced with the stark reality of it. It's a brilliantly written play given an excellent and interesting staging by Artistry, and Sally's performance is one not to be missed. This was my weekend for seeing rarely produced musical theater gems. 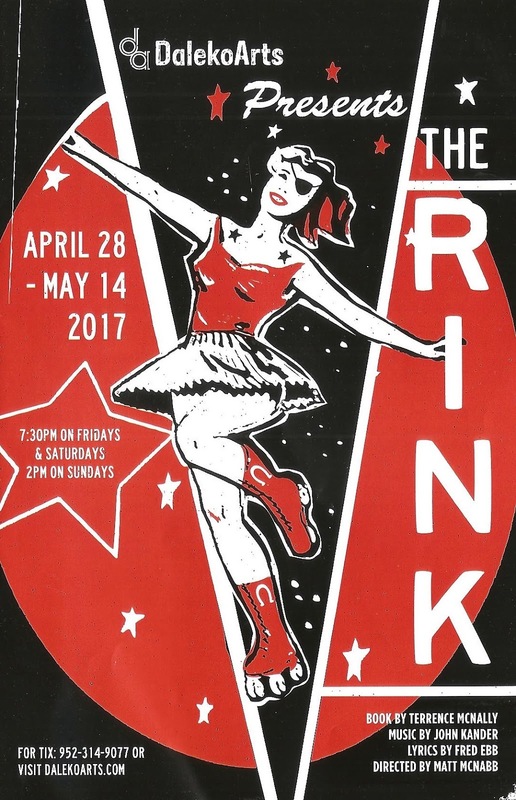 First I saw a charming production of 110 in the Shade at Theatre in the Round in Minneapolis, then I headed down to the very southern edge of the seven-county metro area to see the Kander and Ebb musical The Rink at Daleko Arts in New Prague. I found both of these musicals to be really great and I don't understand why they're not produced more, but I'm grateful for the wonderful Twin Cities (and beyond) theater community for giving me the chance to experience shows like this. On my second visit to Daleko Arts I continue to be impressed with the work that they do in the tiny Prague Theater on charming Main Street in New Prague. Part of Daleko's mission is to "help decentralize professional theatre in Minnesota," a mission that I support in theory but in practice is a bit challenging; I'd like to see all of their shows but the distance can be prohibitive. But if you live in the Southern Metro, or don't mind a road trip through some of the prettiest country in Minnesota (I may be biased because I grew up in the area), Daleko should definitely be on your radar as a destination for quality theater that includes classics, new works, and interesting unexpected choices like The Rink. 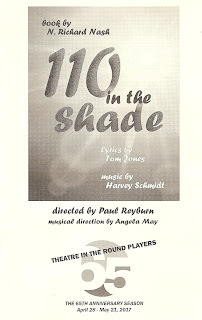 Theatre in the Round doesn't do many musicals, so I'm glad they chose the rarely produced gem 110 in the Shade this season. It originally premiered on Broadway in the '60s and ran for less than a year, and has been revived only once, for a few months in 2007 - a little surprising because the score is beautiful. Not only is this an excellent choice in musicals, but it's such a thrill to hear a lovely score such as this in TRP's small arena space with a small band and the singers not miked, so there's no amplification to get in between the music and your ears. The music sounds richer, the story feels more immediate in that intimate setting. They've assembled a strong cast; in particular the two leads have gorgeous voices and wonderful stage presence. If you appreciate beautiful musical storytelling, check out 110 in the Shade at Theatre in the Round, the longest running theater in Minneapolis. nimbus theatre's latest original work, Redemption, deals with the tricky issue of reentry into civilian life after time spent in prison. Playwright Josh Cragun and director Mitchell Frazier researched the topic extensively and talked with people affected by the issue. The result is a thoughtful look at the lives of two recently released prisoners and how their release affects their family and their victims (sometime one in the same). We're facing so many problems in this country right now that our flawed prison system (nimbus quotes a few statistics in their program, including "the US holds only 4.4% of the world's population, but we have 22% of the world's prisoners" and "we incarcerate at a higher rate than any other country in the world") seems to have taken a back burner. Not at nimbus, where Redemption doesn't offer any answers, but rather calls for compassion and understanding on all sides. "This soil is bad for certain kinds of flowers. Certain seeds it will not nurture, certain fruit it will not bear, and when the land kills of its own volition, we acquiesce and say the victim has no right to live." 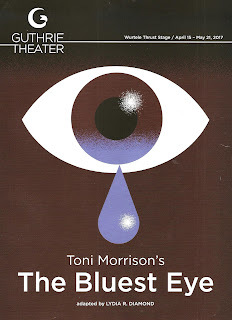 This quote from Toni Morrison's 1970 debut novel The Bluest Eye, an adaptation of which is currently playing on the Guthrie thrust stage, is a brilliant metaphor for the Civil Rights movement, the Black Lives Matter movement, the Women's Rights movement, the Gay Rights movement, really any cry for equality and justice. All we want is for all kinds of flowers to have a chance to grow. What they do with that chance is up to them, but the promise of America (a promise that feels like it's slipping further away every day) is that every flower, every child, is given an equal chance to grow and flourish and become their best self. The protagonist of The Bluest Eye, a poor and "ugly" black girl named Pecola living in the 1940s, is not given that chance. This cast and creative team, most of whom are new to the Guthrie, bring Toni Morrison's story to heartbreakingly vivid life in an intense, engaging, at times humorous, and incredibly moving hour and 45 minutes of theater. 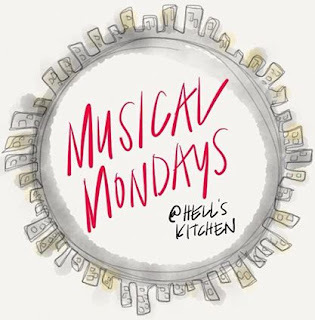 Musical Mondays at Hell's Kitchen is a monthly cabaret series featuring fabulous local talent performing songs from musical theater around a theme. The theme for this month's show, the 49th in the series, was musicals of the last ten years. My favorites in this time period include Spring Awakening, Next to Normal, The Book of Mormon, Once, Hamilton, and the very recently Tony-nominated Come From Away and Dear Evan Hansen. But only the last one made the cut for Musical Mondays. Which isn't surprising, perhaps my choices are too obvious, and Musical Mondays has always been great about picking the lesser known (to me anyway) songs and musicals. As always, it was a super fun night of celebrating musical theater, enjoying performances by local talent, people watching, and eating and drinking (it's always Happy Hour at Musical Mondays).